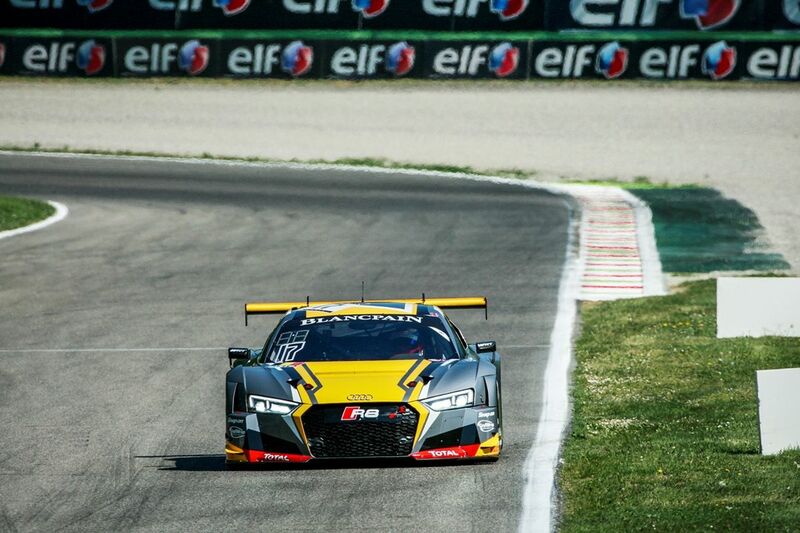 Ben Barnicoat and Jake Dennis produced impressive individual performances but their respective cars were unable to set competitive qualifying times in the opening Endurance Cup round of the Blancpain GT Series at Monza. With 51 cars competing on track, the 60-minute qualifying session was split into three to enable all three drivers per car to set lap times. Barnicoat took the first stint in the #58 Strakka Racing McLaren 650 S GT3 which was interrupted by a red flag after only two minutes when the #66 Lamborghini Huracan GT3 of Giovanni Venturini locked up its brakes into Turn 1 and collided with the rear of the #2 Team WRT Audi R8 LMS of Benoit Treluyer. On the session resumption, after initially setting the fifth fastest time, Barnicoat improved further to set a time of 1m 49.752s - the 12th quickest time of the Q1 session with all cars filled with fuel as re-fueling is banned during the entire qualifying session. Dennis took to the wheel of the #17 Team WRT Audi R8 LMS in the second qualifying session from Stuart Leonard, and as Barnicoat, set a best time of 1m 48.650s on his second flying lap. Barnicoat’s team-mate Rob Bell’s early Q2 effort maintained the position of the #58 car in a competitive position in 12th. With all cars running far lighter fuel loads than earlier in qualifying, the quickest times would be set in the third and final session. However both Come Ledogar in the #58 McLaren and Markus Winkelhock in the #17 Audi, struggled to maintain their respective cars’ position. Ledogar managed seven laps with a best time of 1m 48.119s but slipped to 21st position. Winkelhock was also forced to battle with his Audi, only able to set the 33rd quickest time of 1m 48.536s, 1.113 seconds behind the pole position time of the #50 AF Corse Ferrari 488 GT3 machine of Alessandro Pier Guidi. The pole-sitting Ferrari will be joined on the front row of the grid by the Gresser Racing Team-run Lamborghini Huracan GT3 of Ezequiet Perez Companc/Raffaele Gianmaria/Norbert Siedler.